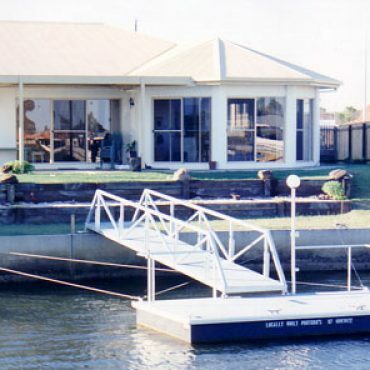 Bribie Pontoons continues to provide the highest quality in personal and commercial-use pontoons. 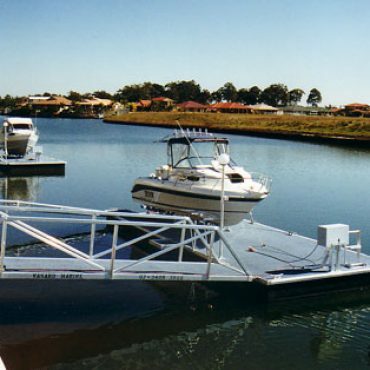 Servicing throughout South East Qld, our pontoons are CUSTOM designed to suit your requirements. We specialise in Pile Mounted Pontoons, Cable Braced Pontoons, Strut-Braced Pontoons as well as Flat and Dry Berth options. Easy Access! - No Step From Walkway Onto Pontoon! 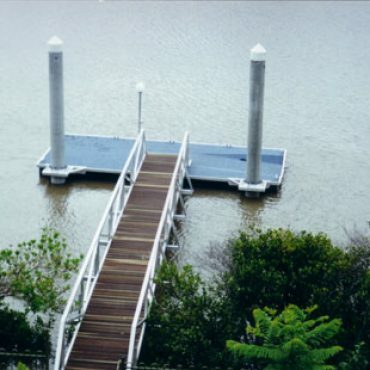 Our Pontoons Are Built To Last!